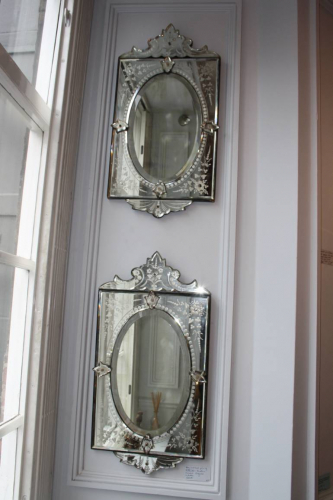 Very charming and unusual pair of Venetian mirrors. Very slight aging in the glass which you would expect and is consistant with mirrors this age. Does not stop reflection. They date from 1930/40`s. All mirror sections are finely etched and there are no losses or breaks. Great original condition.